In January, 2015 the top performing schools of Lynn and O’Grady Quinlan decided to join forces to best meet the needs of our students. 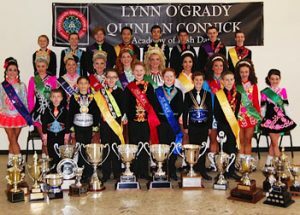 Collectively over the past 15+ years, our schools have seen a great transformation of Irish dancing with breakout hit shows such as Riverdance and Lord of the Dance increasing its popularity as well as increasing an additional need for top-level instruction and performance opportunities around the country. We have seen the need to not only escalate instruction for the competitive side to Irish Dancing, but we have also seen the resurgence of the performance side of Irish dancing growing at an exponential manner. With that being said, both avenues require not only a team of the highest level of instruction, but also include a team of top-level physical training and nutritional advice as well. Due to the increased demands of instruction and performance opportunities and building on our success and values, we believe a collaboration of teachers and schools will give all of our students more opportunities to further his or her skills to achieve his or her goals accordingly. In addition, teachers would like to offer more opportunities for their dancers while having a support team of additional dedicated certified teachers on staff to fill in if needed. The beauty of merging our schools is that each of our teachers takes great pride in sharing his or her own personal journey and our love and passion of Irish dance with each student. We believe with this merger that one of our greatest assets is the diversity of our teaching staff. Although each teacher is the primary instructor in his or her own studio locations, some teachers may travel among the various locations to teach all of the students in the school at the championship level. This in turn, brings a different perspective and approach to the students as each teacher relies on his or her own strengths to further develop the abilities and talents of the dancers. 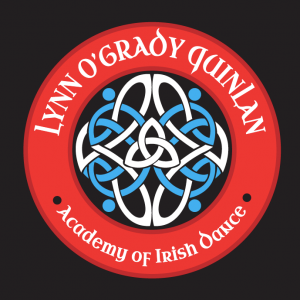 Thus all our teachers are extremely excited to work together to provide the best instruction in Irish Dance. Last but not least, many of our dancers wish to continue their dance careers throughout college and beyond. By merging our schools, students can continue with their dance career and be able to attend college in many different areas of the country without having to change Irish dance schools.